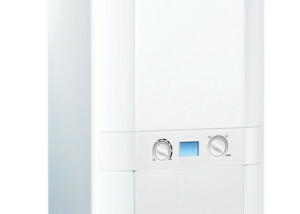 Start saving on your gas monthly bills now with an energy efficient modern gas boiler. 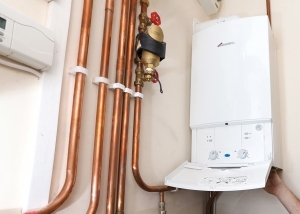 Across Heaton Norris and the Greater Manchester area, our authorised gas boiler installers, have years of experience installing and replacing boilers. Every one of the gas boiler engineers are thoroughly trained and Gas Safe registered, so while they’re fitting your brand-new gas boiler you can have confidence in the knowedge that your property is in professional hands. They additionally all provide a premium, professional and friendly gas boiler installation service to keep you warm and safe at home over the coming years. Homeowners & Landlords throughout the Heaton Norris area are able to select from a series of A+ rated, energy-efficient state-of-the-art gas boilers from top companies such as Worcester-Bosch, Viessmann, Ideal, Vaillant, Glow-worm, Baxi and even many more. Our local experienced Gas Safe registered engineers undertake gas boiler installation and gas boiler replacement for house owners in Heaton Norris, and throughout the Greater Manchester area. If you are not exactly sure regarding the sort of gas boiler to choose? Or are you Nervous about the cost of buying a new gas boiler installation? Well our authorised gas boiler installers, are here to guide you. Our speedy gas boiler installation and gas boiler replacement solutions also include all of the guidance that you require, by fully qualified gas engineers with many years of boiler installation experience. They’ll ask you a handful of questions about your home and lifestyle, perform a completely free site survey and recommend the most suitable gas boiler to match both your requirements and budget. Once you’ve decided which quote you are most happy with your brand-new gas boiler fitting will be done at a time best suited to you. Whether or not you are dreaming of replacing your old gas boiler or you are faced with an unforeseen boiler failure, our gas boiler finance options make paying for a new gas boiler easy. Heaton Norris house owners are able to make a delayed payment with our Buy Now, Pay Later scheme. Following making a minimal down payment, a new gas boiler will be installed in your house, and the remaining balance settled at a later date. The 3 year gas boiler finance package lets you make the repayments for your brand new gas boiler over 3 yrs with extremely low interest rates. Selecting a 5-year payment plan will enable you to spread the repayments of your brand new gas boiler over five yrs, for much more manageable monthly repayments. If you are requiring a more long-term gas boiler finance package then a 10 year payment plan allows you to fund your brand new gas boiler with extremely low monthly repayments.